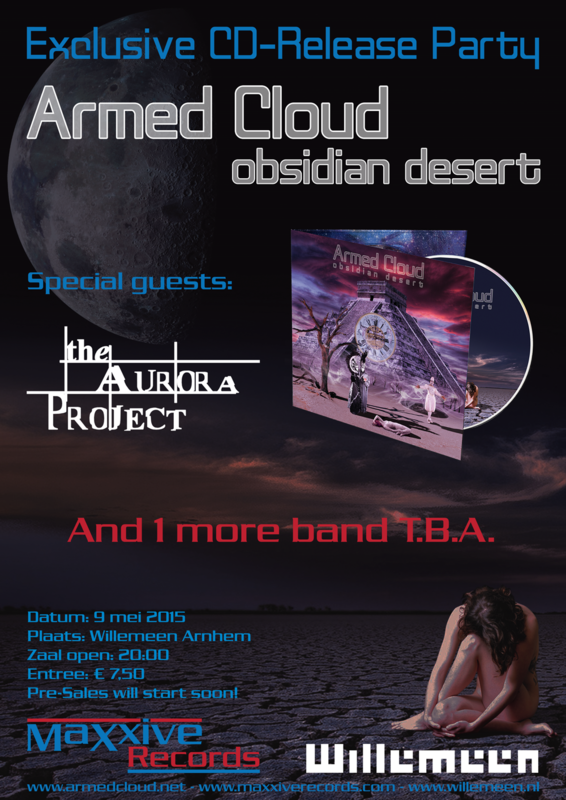 On May 9th, our band Armed Cloud will release it’s debut album! Not only is this Armed Cloud’s debut album, but it’s also the first album release for MaXxive Records! The night will be filled with 3 great bands! 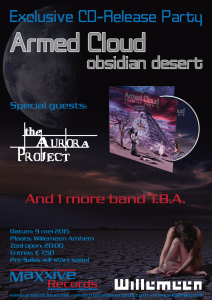 Of course, Armed Cloud will perform a set to introduce their album, but we also have The Aurora Project playing! The third band will be announced later! It will be worth it! Tickets will only cost € 7,50 and presales will start soon! Be sure to be there! You don’t want to miss it! 24 February 2015 in Armed Cloud, MaXxive Records, Revengin.